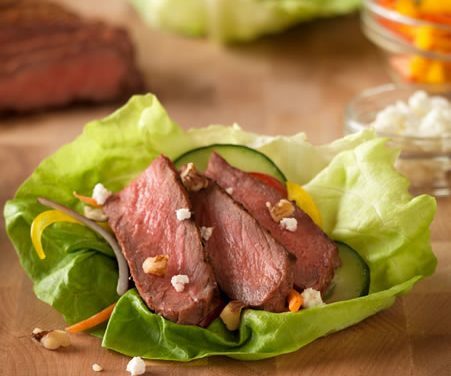 Grilled Strip steaks wrapped in crunchy lettuce leaves and topped with your favorite veggies. 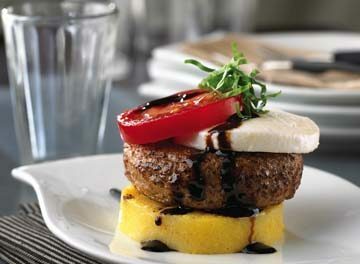 Recipe for Inside-Out Grilled Steak Salad from our Appetizers recipe section. 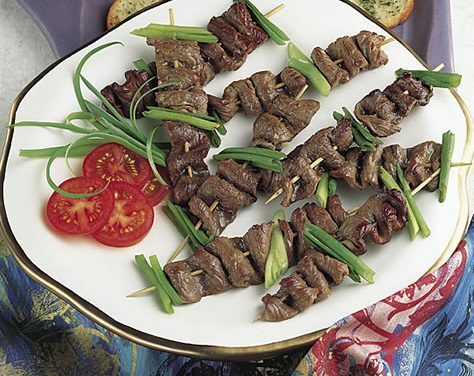 Recipe for Asian Beef Kabobs from our Appetizers recipe section. 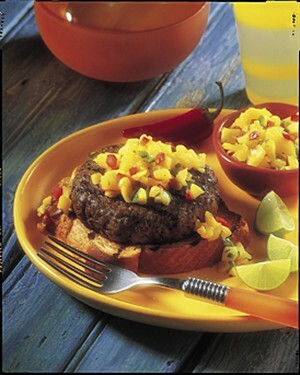 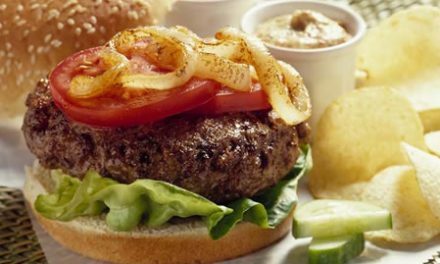 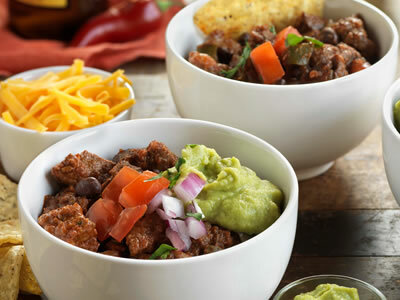 Recipe for Caribbean Beef Burgers with Mango Salsa from our Main Dishes recipe section. 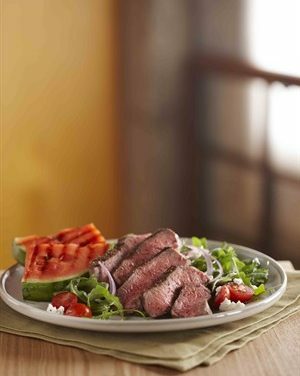 Recipe for Grilled Steak and Watermelon Salad from our Main Dishes recipe section. 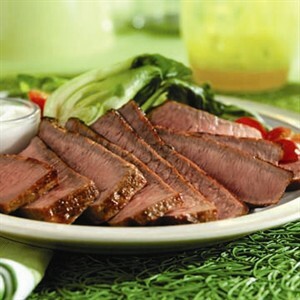 Recipe for Grilled Eye Round Steaks With Wasabi-Yogurt Cream from our Main Dishes recipe section. 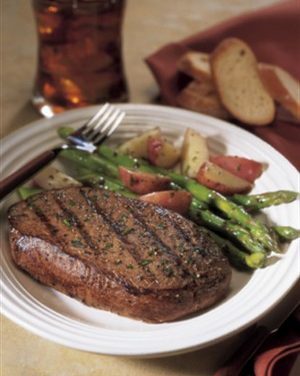 Recipe for Balsamic Marinated Steak & Asparagus from our Main Dishes recipe section. 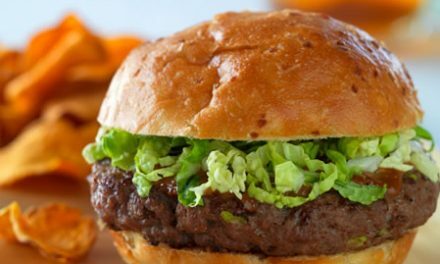 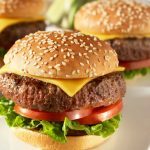 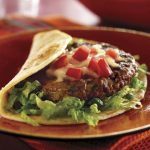 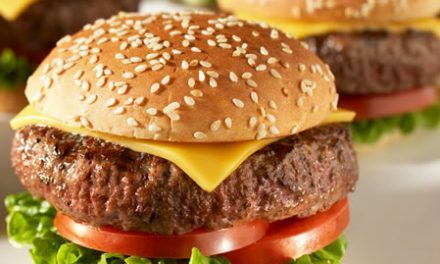 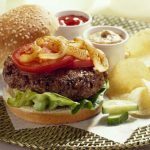 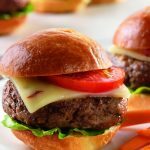 Recipe for Hawaiian Burgers from our Sandwiches and Wraps recipe section.